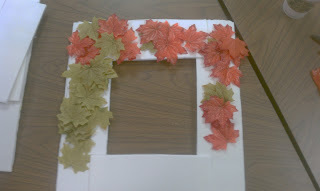 A Fun fall craft to do with a group of friends or by yourself, is this nice autumn wreath. 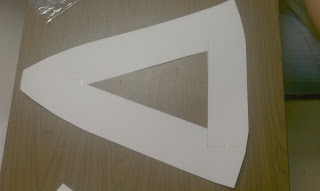 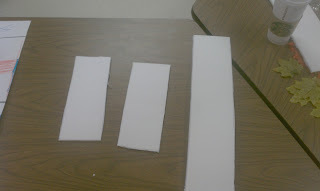 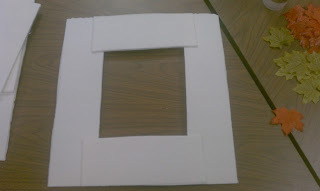 Start with a large poster board and cut into 4 strips, you can be very creative with this, my friend made hers into a triangle, I did a square. Staple the poster board together, and start gluing on your leaves (hot glue works the best). 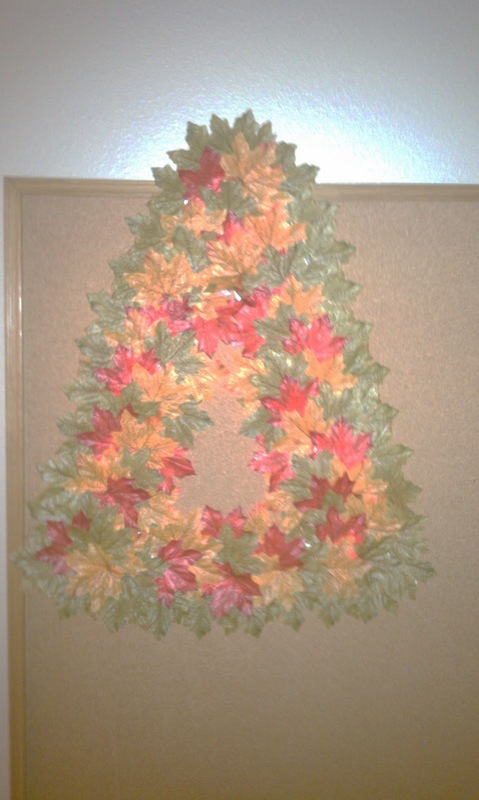 Then just glue a ribbon on the back for a hook and hang your autumn wreath on a door, or use as a centerpiece on your dinner table.